It was a few months after Brad told me about his idea about traveling around in a RV that we went and looked at them. We needed to make sure that we could actually live in a small space together. After looking at a few RV’s, we decided that yes, we could live in one as long as it was big enough for us to both work. A lot of people ask us why we choose a 5th wheel vs a motor home, trailer or camper. We did a bunch of research on all and decided that a 5th wheel would meet our needs the best. It really is a personal decision and it’s so nice that there are so many choices! 1. It tows nice and easy. 2. 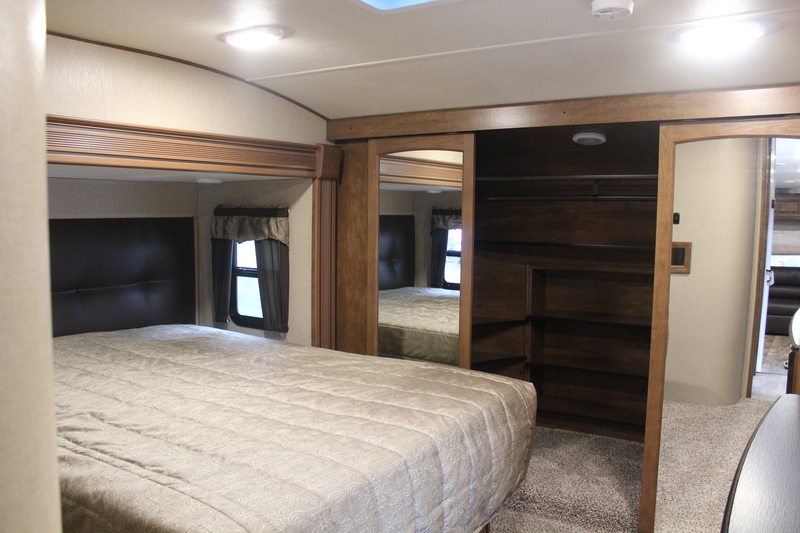 We can leave the 5th wheel at the campground and take the truck on excursions. 3. Large living space because of all the slides. It wasn’t until a few months before we decided that we were leaving in July that we went and started seriously looking at 5th wheels. We went to multiple dealers and narrowed down the layout that we liked along with the size we felt comfortable in. Again, this is all personal. There are many different options out there and it can be very overwhelming. My best advice to anyone looking is to go to a RV show. I went to one with a couple of friends and I was able to really narrow down what brands I liked. I took notes and photos so the RV’s I liked didn’t get all jumbled up in my head and when I got home and I was able to share that information with Brad. We went with a Grand Design Reflection, 337RLS. What does that mean? The inside is 33.7 feet long and it’s a rear living space. 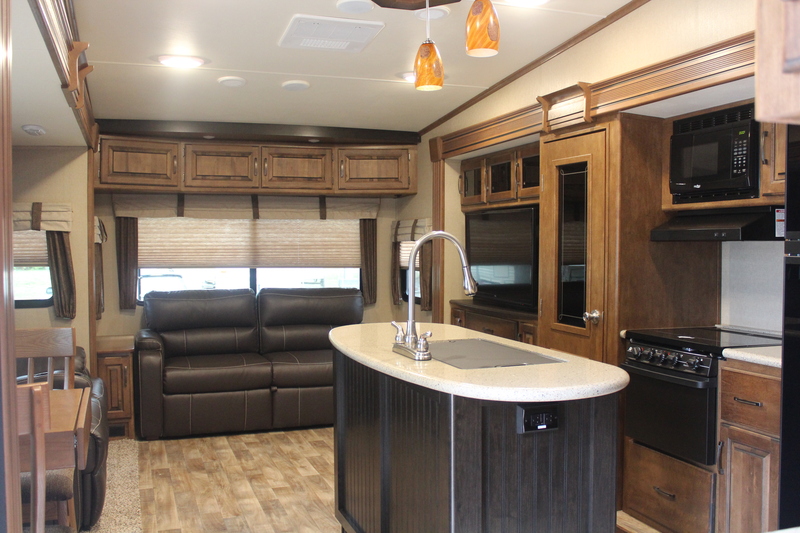 Once you start looking at RV’s, you pick up what all models numbers mean quickly! 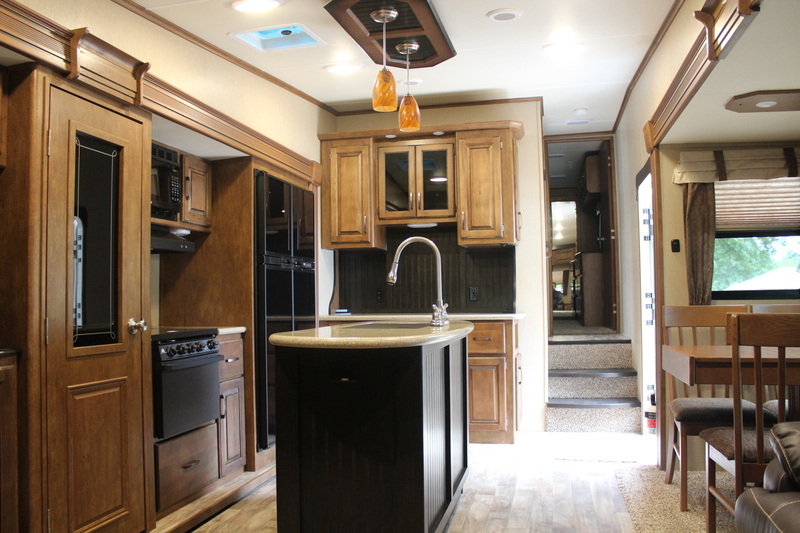 Grand Design’s are relativity new RV’s and they have gotten great reviews. We really liked the quality of the product along with the layout. It felt like home when we walked in and we both loved the large kitchen and pantry along with the fireplace. Just saw your dually at Target in American Fork, Utah. I think it’s great what your doing. I hope you enjoy your stay in Utah, we love the recreation here. We are also GD Reflection (303rls) owners and we love it. It is our 2nd Grand Design. If your looking for something local this weekend, check out the Lehi Roundup Rodeo. Hi Brian and thanks for the message! It’s always nice to hear from another Grand Design owner. We love our GD and I’m (Jennifer) is always looking to what new models are coming out. Thanks for the rodeo suggestion. Happy travels!